JNTUK B.Pharmacy 4-2, 3-2 Sem (R16,R13,R10) Regular/Supply Exams Fee Notification February 2019, Jntu kakinada IV Year II, III Year II semester examinations notification 2019. 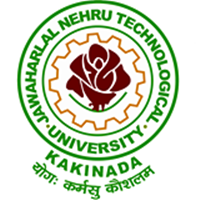 JNTU Kakinada has announced B.Pharmacy 4-2, 3-2 semesters R16, R13, R10 Regular/ Supplementary Fee Notification February 2019 at jntuk.edu.in. Laboratory/Project Examinations should be Conducted from 01-04-2019 to 06-04-2019. Please tell me that is it last attempt for b.pharmacy r10 students to write 3.2 exam. And where we should write exam. Whether in university or alloted college. Please give me reply. It's my humble request.